We’ve all seen these people: the boss who blows her top when a meeting runs five minutes late, the man in the coffee shop who screams and rants when his latte isn’t made with soy milk, the maniac driver who honks at every car in stop-and-go traffic. Maybe some of us actually are those people. Aside from being annoying, and sometimes even threatening, angry people aren’t doing themselves any favors. A growing body of research suggests they may be setting themselves up for everything from heart disease and irritable bowel syndrome to headaches and maybe just the common cold. The latest research – a study of 5,600 Italians, published this month in the journal of the American Heart Association – found that individuals who are cynical, manipulative, arrogant or short-tempered have thicker carotid arteries, which means they’re more vulnerable to heart attacks and strokes. What’s doing the damage is stress and how angry people react to it – or overreact to it, mental health experts said. When people face a stressful situation, their bodies produce the hormone cortisol. Under normal circumstances, cortisol helps maintain blood pressure and the body’s fluid balance; in a stressful situation it is what causes the heart to beat faster and sweat to break out. The rush of cortisol is great when people face a legitimate, immediate danger. It stimulates the “fight or flight” mode that was life saving for our human ancestors. It primes the body to run fast and make quick decisions. But it is potentially damaging for people who tend to get angry and aggressive under stress, or who are chronically stressed out. Over time, chronic stress can weaken the immune system or, alternatively, send it into overdrive, which can lead to autoimmune disorders. Chronic stress may be a cause of inflammation, which can negatively affect almost every part of the body, from the cellular level on up. Inflammation may be a cause of thickened arteries. The Italian study focused on antagonistic traits – such as cynicism, arrogance and manipulative behavior – and how they might be related to thick carotid artery walls. It found that the people who were most antagonistic increased their risk of arterial thickening by 40 percent. Mental health experts who read the study said that people who view the world from an antagonistic perspective – who think everyone’s out to get them, and who don’t trust others – are almost definitely quick to anger, and also more stressed and vulnerable to heart disease, than people who are evenly tempered. The next obvious question, doctors said, is whether people can improve their health by controlling their anger. People with extreme anger problems – those who have personality disorders or who are physically abusive – would probably benefit from one-on-one therapy. People with less immediate problems might consider anger management classes or support groups for people with hot tempers. But many people may not know whether their anger is affecting their health, some doctors said. 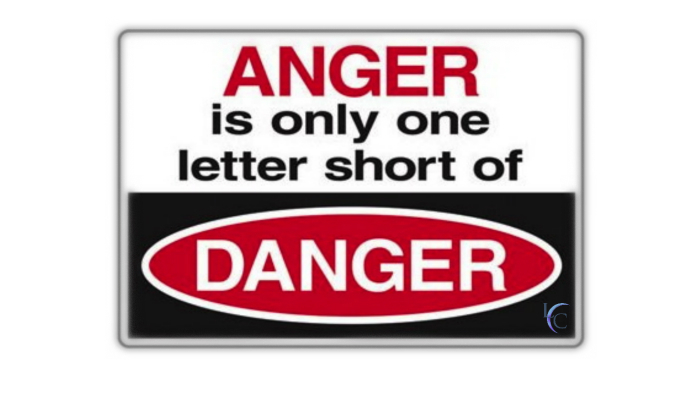 It may feel like their anger is a natural response to a situation, especially in the moment. People who worry that they have an anger problem should look at recent instances when they lost their temper, and, with the benefit of hindsight, ask themselves whether they overreacted, mental health experts say. For example, did that barista really deserve to be yelled at for flubbing a latte? People also should pay attention to what their friends, co-workers and family members are telling them – if peers are saying that you have an anger management problem, chances are there’s some truth to it, Spiegel said. For most people who think they have an anger problem, the key is to get themselves calmed down in the situation. They might take a few deep breaths and give themselves time to think about what’s going on, and whether it’s worth getting angry about. They might need to go off by themselves for a while. Exercise is almost always a good outlet for stress of all kinds, said Dr. Don Mordecai, director of mental health and chemical dependency services for Kaiser Permanente Northern California. — People often tell you you’re overreacting. — In past situations when you’ve gotten angry, the events don’t seem to have justified your response. — You get into fights – verbal or physical – regularly. — You often feel angry when faced with stress. Talk to someone: People who talk calmly about what is wrong tend to feel better. Take deep breaths: And stop to think before reacting. Walk away: Leave a stressful situation before you get any angrier. Get exercise: Go for a walk or a run. Get help: Anger-management classes may help, but make sure someone with professional training runs them. Find a support group. Get one-on-one therapy. — People point it out to you. They often tell you to calm down or that you’re overreacting. — Looking at past situations when you’ve gotten angry, the events don’t seem to have justified your response. — You get into fights – verbal or physical – on a regular basis. — You often feel angry when faced with all kinds of stress. — Talk to someone. People who talk calmly about what’s wrong tend to feel better and be healthier. — Take deep breaths and stop to think before reacting. — Walk away. Leave the scene of a stressful situation before you get any angrier. — Get exercise. Go for a walk or a run. — Get help. Anger management classes may help – but make sure someone runs them with professional training and experience. Find a support group. Get one-on-one therapy.